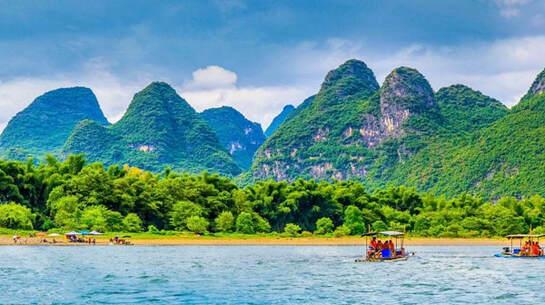 Guilin is a famous city located in South-Western China, popular among visitors for its spectacular Karst mountains incredible waterways, caves and the Li River. Hong Kong is an international, world city located on the tip of Southern China and famous for its skyscrapers, delicious food, density and a gateway to the Orient. Being located only 500 kms apart, many visitors to Hong Kong also choose to extend their visit into Mainland China with a visit to Guilin. 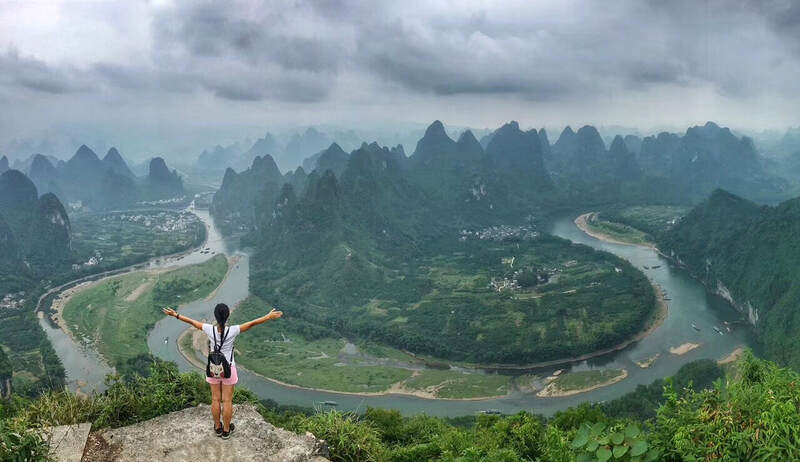 Wendy Wei Tours offers a combination of private Hong Kong to Guilin Tours, multi-day tours from Hong Kong to Guilin China and Custom Hong Kong to Guilin Tours. We're based in Guilin and offer high-quality tours so you can enjoy everything Guilin, Yangshuo and the Longji Rice Terraces offers! How to get from Hong Kong to Guilin? Currently, there are two main transportation methods available for visitors traveling from Hong Kong to Guilin and vice versa. Details of each option are outlined below and if you have any questions regarding getting to Guilin, please contact our team and we can assist you! There is a high-speed train departing from Hong Kong to Guilin with visitors able to board at West Kowloon Railway Station. The high speed train takes approximately 3 x hours from central Hong Kong to Guilin. 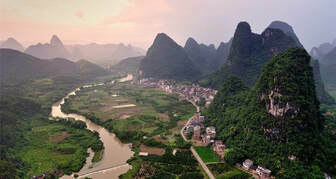 In addition to the direct high speed train from Hong Kong to Guilin, visitors can also take connecting high-speed trains from the neighboring cities of Guangzhou or Shenzhen to Guilin. 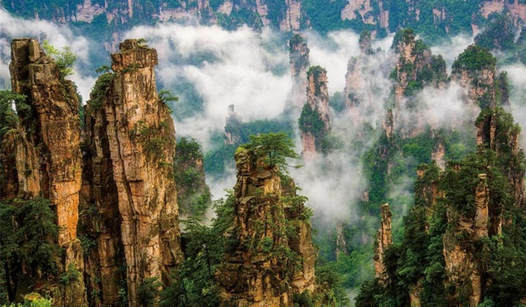 Explore Southern China with Wendy Wei Tours! In addition to the high-speed train, there are also direct flights available via DragonAir from Hong Kong to Guilin. There is usually a direct flight each day and the flight duration is approximately 1 hour & 15 minutes, making flights the quickest option to transit between both cities but also (usually) the most expensive. Typically, the high-speed train is best for visitors who are already staying in Hong Kong prior to their visit to Guilin as the high-speed train station (West Kowloon Railway Station) is located in Kowloon (near Tsim Sha Tsui), being directly accessible by metro. However for travelers landing into Hong Kong with a connecting flight to Guilin, this is the quickest option available. 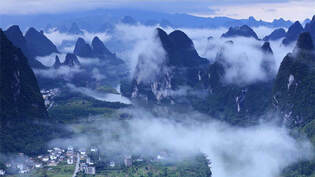 How many days on a Hong Kong to Guilin Tour? Depending upon your specific interests and preferences would determine how many days you spend on a Hong Kong to Guilin Tour. 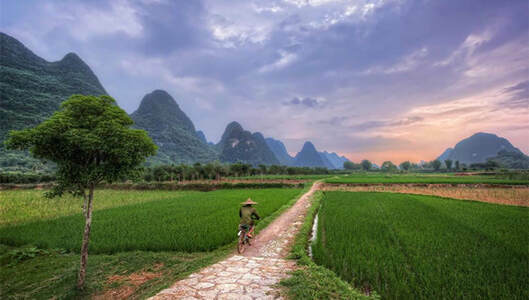 On average, most visitors would spend two or three days in Guilin with a day to explore Guilin city's attractions, a day to experience the Longji Rice Terraces and a day to explore Yangshuo's spectacular valleys and karst scenery. Other visitors choose to spend a weekend getaway in Yangshuo or experience their Hong Kong to Guilin visit with a 4 Day Guilin Tour. 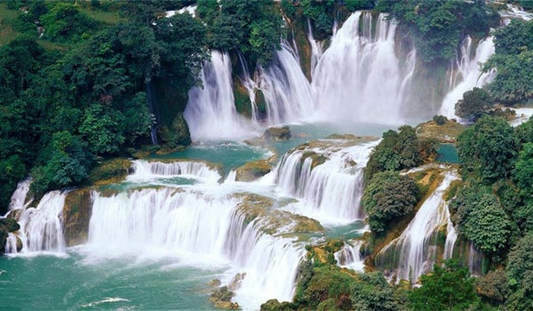 Interested in a Custom Hong Kong to Guilin Tour? Start planning now! 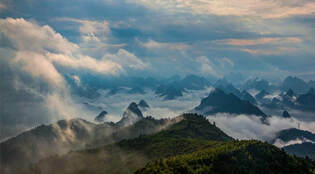 Wendy Wei Tours offers the Best Yangshuo Tours ranging from Classic routes to off-the-beaten-track, multi-day tours and more!